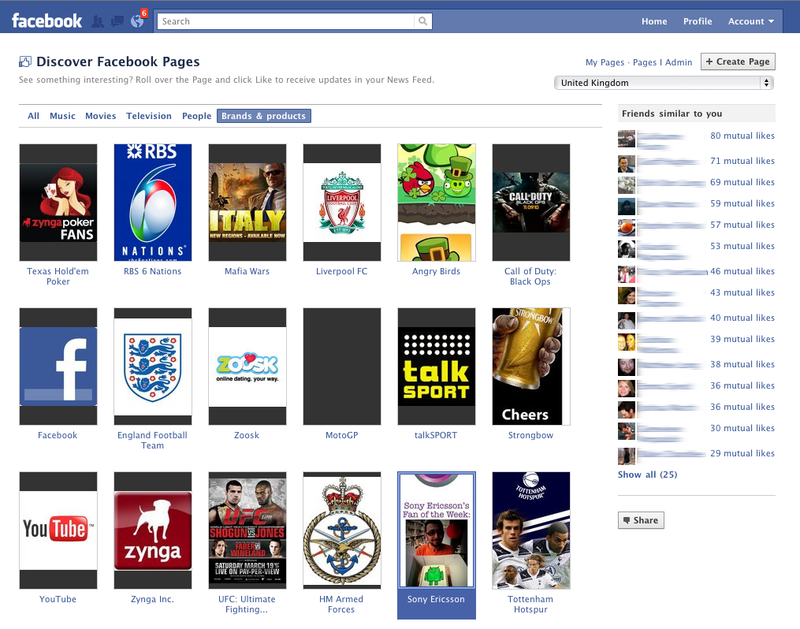 Just spotted a new discovery interface for Facebook Pages. The various brand pages are sorted according, I assume, to their weight within Facebook’s EdgeRank algorithms for ranking content. So, the most popular pages, among my friends, appear first. But, wait! What are Liverpool FC and Tottenham Hotspur doing in there? I support Arsenal but it seems more of my friends support Tottenham and Liverpool… oh dear, my social network is out of sync. Now, what do you call someone who thinks they are in one social tribe, but are in fact in another…? Did Facebook just kill the “landing tab”? I noted a round robin email from Rasmus in Copenhagen this morning, complaining that “landing tabs” – the feature that lets you decide what tab non-fans arrive at, seems to have disappeared from Facebook pages. 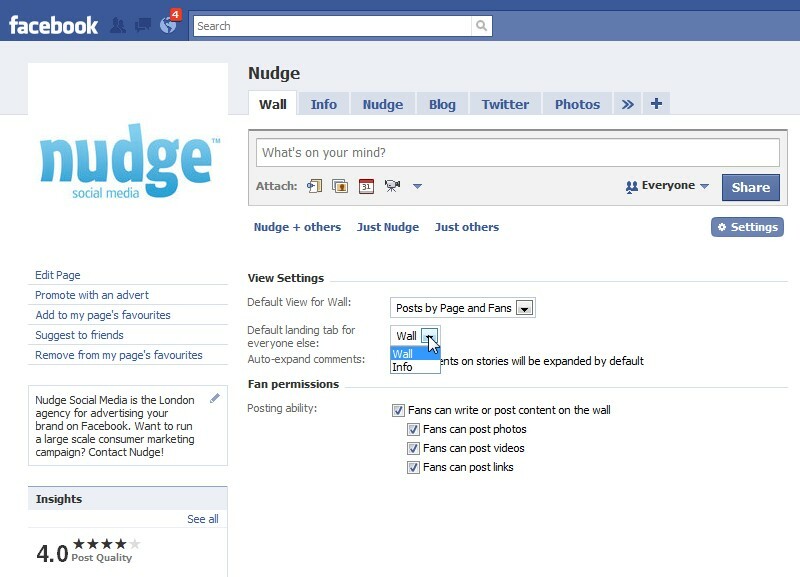 There’s been quite a bit of industry on the blogs such as all facebook and mashable explaining how to make landing tabs and its something we at Nudge have made quite a few of. But as of today they are gone… perhaps never to return?